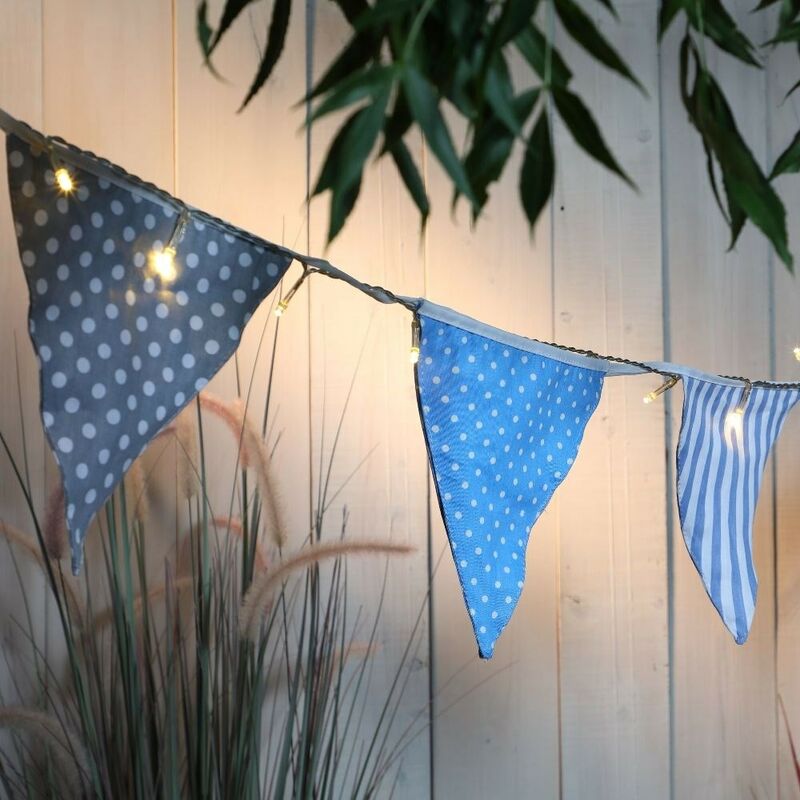 Decorative by day and functional at night, this bunting light string is ideal for garden parties, barbecues and outdoor celebrations. With 10 nautical blue spots and stripes flags and 30 white lights with automatic dusk activation, it’s the perfect décor for staying outside as day turns into night. Made with multi-function warm white LEDs. A 6-hour timer keeps the lights illuminated throughout the evening. Takes 3 x AA rechargeable batteries (included).